All the curves of your surface, Nintendo DS. 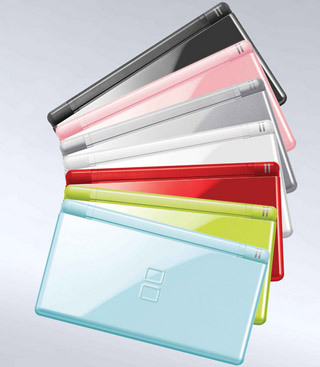 Nintendo DS! Do you feel the same way? Do your buttons all tingle when my thumbs are at play? I don’t stay and play with my PlayStation all day. You hold me in places Xbox cannot go! I have to go Wii! Editors' note: Other makes and games are available! I should have specified when I submitted this poem, my blog is Will Type For Food. That was so clever and entertaining! Visiting from Everyday Goddess. Apologies for missing Tim's blog off the post - it's there now, and always worth a visit! Very clever! (*laughing over here*) Whatever! I'm hopeless with emoticon/symbols. Sorry.